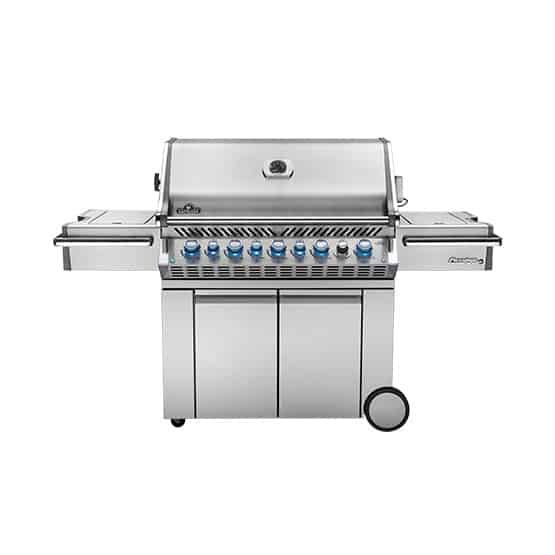 Beauty, performance, durability, and features you don’t even see on the most expensive grills, Napoleon’s Prestige PRO™665 with Infrared Rear and Side Burner has everything you need for professional grade backyard grilling. 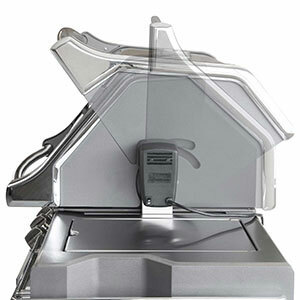 Grill up to 48 hamburgers at once over five main burners, sear over direct heat or bake and roast using indirect easily with this grill’s oven-like performance. 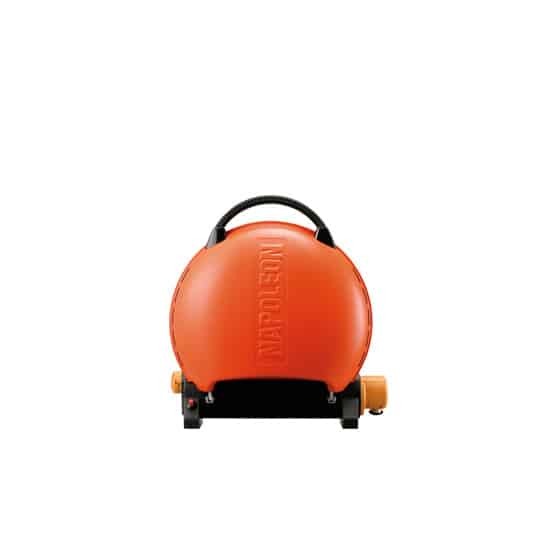 Infuse any dish with that delicious smoky flavour using the integrated smoker tray and dedicated burner. Rotisserie meals were never as good as the ones you will make using the infrared rear burner. 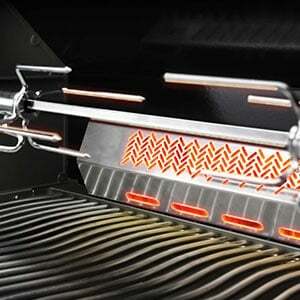 You can even achieve the perfect, restaurant quality steak using the infrared side burner. Turn your Prestige PRO™665 into a charcoal grill with our optional Cast Iron Charcoal Tray, for when you need that charcoal flavour. Grilling after dark is a snap with the integrated interior lights and blue NIGHT LIGHT™ control knobs. SafetyGlow changes the lights in our knobs to red when gas is on. 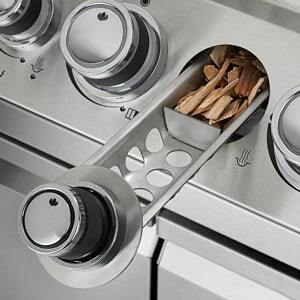 This means you will never worry about leaving the gas on, and always know when burners are lit for that perfect sear or ideal indirect grilling experience. 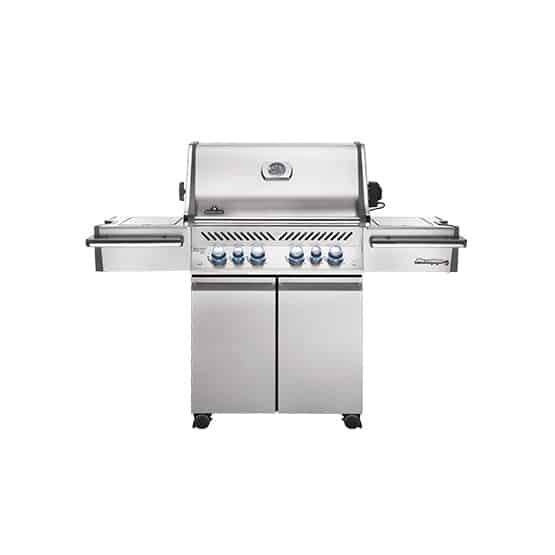 The Prestige PRO™665 with Infrared Rear and Side Burner comes pre-assembled with only minor finishing touches needed. The cabinet itself features soft-close cabinet doors, lighted interior storage, and ULTRA-GLIDE™ propane tank storage on our propane models. 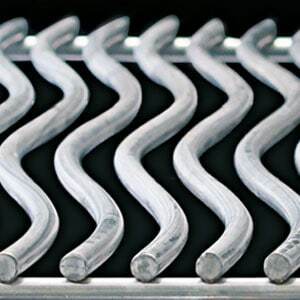 The side burner features an adjustable stainless steel cooking grid, while the grill itself has heavy duty, 9.5 mm stainless steel WAVE™ rod cooking grids. Get cooking fantastic meals right away with the included commercial quality rotisserie kit, or use the integrated smoking tray and dedicated burner. Keep things cool with the built-in marinade and ice bucket. We’ve thought of everything you need to get grilling like a PRO, even including an integrated power bar for the rotisserie and lights. 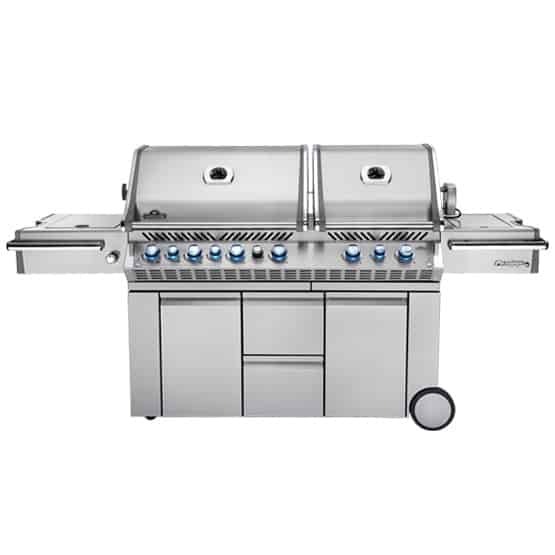 Napoleon’s Prestige PRO™665 is the epitome of cart style grills for the backyard grilling professional.